The Town of Palm Beach has a legacy of providing recreation opportunities for generations of residents. Over the past 35 years, the town’s Recreation Center has been at the heart of that mission, nurturing children, energizing adults and bringing families together on the court, on the field, in the classroom and on the playground. The new Mandel Rec Center will continue this legacy of sports, fitness, enrichment and fun by improving the quality of life for everyone on the island, with a new gymnasium, an upgraded multipurpose field, modern fitness facilities, a snack bar and a larger playground. Compared to the existing, outdated facility, it will be a much-needed improvement from baseline to backboard to yoga mat. We’ve heard your thoughts and incorporated your feedback in our revised plans. Your continued support is appreciated to help make the Rec Center a reality. This fundraising effort and this website are being spearheaded by the Friends of Recreation nonprofit, founded by longtime Palm Beach residents who believe in continuing to grow the Rec Center as the heart of a healthy community. Do you agree that a robust Rec Center is vital to the wellbeing of Palm Beach? Join our team of enthusiastic supporters. The funding for the new Rec Center will come from three sources. One-third of the cost has been graciously donated by the Morton and Barbara Mandel Family Foundation. An additional one-third will be matched by the Friends of Recreation, and the final one-third will be from the Town of Palm Beach. Once the new center opens, the sale of daily, seasonal and annual passes will boost the center’s bottom line and improve the recreation department’s balance sheet compared to how it looks today. Naming opportunities are also available. Why not simply repair the current center? It will cost the town less to build a brand new facility than it would to renovate the existing site. The cost to bring the existing Rec Center up to code: an estimated $7.5 million. The new center, meanwhile, is currently estimated to cost $11.1 million, but $7.4 million of that will come from private donations. Therefore, the town’s share for a new building is estimated to be $3.7 million – less than half the cost of renovating the current site. Where is the funding for the new center coming from? The funding for the new Rec Center will come from three parties. One-third of the cost has been graciously donated by the Morton and Barbara Mandel Family Foundation. 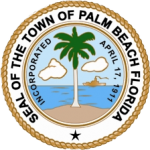 An additional one-third will be matched by the Friends of Recreation, and the final one-third will be from the Town of Palm Beach. Once the news center opens, the sale of daily, seasonal and annual passes will boost the center’s bottom line and improve the recreation department’s balance sheet compared to how it looks today. So will the center be geared toward children? Yes, the center will continue to be geared toward children, but its programming has always served all ages and will continue to do so, with new, modern fitness facilities, a gym that can be used for various sports, an upgraded tennis pro shop and a snack bar serving juices, coffee and healthy snacks. When will the new center open? It’s expected that construction will begin in the early summer of 2017 with a target completion date of the fall of 2018. Yes, there are many ways to get involved. Please contact PalmBeachFOR@gmail.com. Why do we need a new rec center? There’s overwhelming community support, and need, for a new Rec Center. In the ETC Institute survey of Palm Beach, 25 percent of households indicated participation in recreation department programs over the past 12 months. Forty percent said they have a need for indoor fitness and exercise facilities. And 79 percent indicated that it was important for the Town of Palm Beach to have a modern recreation center. The Town Council approved the new center in April, and the Architectural Commission approved the design of the building in March. Who is spearheading the fundraising for this project? The Friends of Recreation, a nonprofit group of Palm Beach residents who believe that every town needs a recreation center that brings the community together. The new facility will not only benefit the community’s residents, but it will also improve the Town of Palm Beach’s economic picture. Friends of Recreation engaged Ballard*King & Associates to produce an operations analysis of the new center. Please review the business plan. THANK YOU FOR CHEERING US ON!